Music is an integral part of our worship service. In the words of the prayer book collect, through music we seek to "perfect the praises of God's people on earth.” Under Dr. Neal Campbell’s talented direction as Director of Music and Organist, Trinity’s music programs are growing and thriving. Prior to joining our staff in 2015, he was the Director of Music and Organist of Saint Luke's Parish in Darien, Connecticut. He has held church and synagogue positions in Washington, Philadelphia, New Jersey, New York, and Virginia, and was on the faculty of the University of Richmond. Dr. Campbell attended the University of Maryland where he sang in the renowned University Chorus, studied organ with William Watkins and Paul Callaway and piano with Roy Hamlin Johnson. He subsequently earned graduate and undergraduate degrees at the Manhattan School of Music and earned the D.M.A. degree in 1996. A member of the New York City and Treasure Coast Chapters of the American Guild of Organists (AGO), Dr. Campbell served three terms on the AGO national council from 2000-2006. He’s also a member of the Organ Historical Society, the Association of Anglican Musicians, and the St. Wilfrid Club of the City of New York. 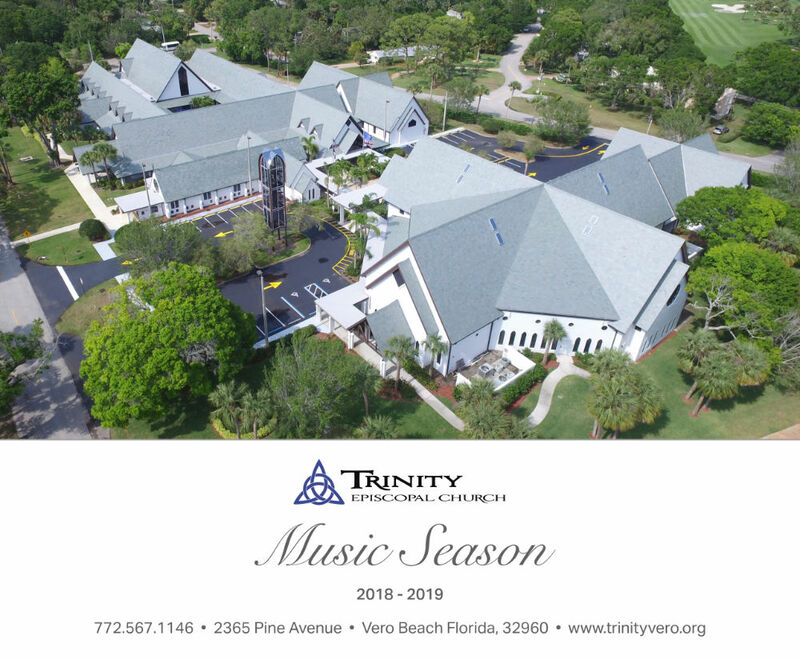 Dr. Campbell may be reached at 772-567-1146 or ncampbell@trinityvero.org. The pipe organ at Trinity Episcopal is a magnificent musical instrument and one of only a few Harrison & Harrison organs in the United States. The primary purpose of our church organ is the accompaniment of the Anglican Episcopal liturgy. In June 2018 Anthony Baron joined the music team at Trinity Episcopal Church as Associate Director of Music and Choirmaster. In addition to his role at Trinity Episcopal, Mr. Baron currently serves as Director of Choral Music at Saint Edward’s School. Prior to relocating to Vero Beach, Mr. Baron served as a church musician and faculty member at parishes and colleges in New Jersey, New York, and Michigan. Directed by Mr. Anthony Baron and accompanied by Dr. Neal Campbell, the Boys & Girls Choir at Trinity Episcopal Church seeks to expose our youngest parishioners to the beauty of sung prayer and liturgy. 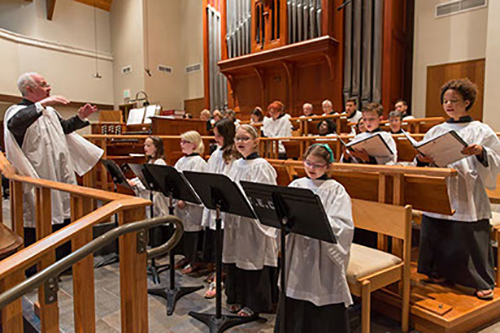 These students learn not only music, but also about the role of the choir, the liturgical traditions of the Episcopal Church, and musicianship skills. The choir is open to all students in 2nd through 8th grades. Choristers sing at several liturgies throughout the year. For more information on how your child can join, please contact Anthony Baron. The Trinity Episcopal Church Choral Scholars Program was established in 2018 to train advanced high school singers who wish to learn more about Anglican liturgy. These students serve as members of the parish choir and are provided mentorship and educational opportunities. Students are selected following an audition which includes assessing not only their vocal talent, but also their ability to read music. Music is an integral part of our worship service and our talented choir helps us glorify God to the fullest. Directed by Mr. Anthony Baron and accompanied by Dr. Neal Campbell on the Harrison & Harrison pipe organ, the Trinity Episcopal liturgy is truly exceptional. To schedule an audition please contact Anthony Baron.